Ecological conservation and environmental concerns have become a much greater influence in production facilities around the world in recent years. Progressive action can also be found in the heart of major industrial operations such as steel mills, paper mills, sugar mills and process plants. Conservation, reclamation and recycling of used lube oil can be a profitable and ecologically sound activity. The engineering or technical manager of a large plant is often so busy managing production and ensuring optimal production with minimal downtime, that little attention is paid to the total lubricant cycle in the plant. After all, the plant’s purchasing department looks for the lowest priced lube oil and the handling/storage department ensures that all drained lube oil is disposed of via a waste removal company. Various local, state and federal authorities have set regulations for the handling and disposal of used lube oil. The Environmental Protection Agency (EPA) has also issued its own used oil management standards, and state regulatory authorities are required to implement them. Lube oil reclamation regulations shouldn’t force a company to implement change. There are a number of financial reasons, including selling used lube oil for recycling into fuel oil and base oil stocks or for certain charges of lube oil to be reclaimed in-plant. Prevents contamination of the environment. Saves money by reducing waste disposal costs. Reduces long-term liability for disposed products - from beginning to end. Reclamation and recycling are two related processes, but there are significant differences. Recycling As an Option The plant engineer does not have to be concerned with the details of the technology used by a recycler, and is therefore not the focus of this article except to provide guidelines for its use in the plant. It is important to ensure that the recycled lubricants are handled and processed in an environmentally acceptable manner. Ask the removal company to show an independent environmental audit of its site and processes. Ensure the company is licensed to process used oil, and make regular visits to the site. 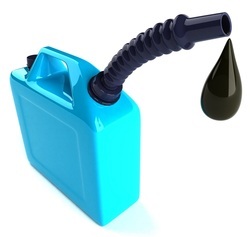 Reclamation treats a charge of lube oil, preferably on-site, and returns the charge to the machine sump. An example of this is reclamation of transformer oil, hydraulic oil and turbine oil. Reclamation may take place off-site where the vendor of the reclamation service drains the existing charge and replaces it with previously reclaimed oil. Reclamation generally involves cleaning, drying and perhaps adsorption to remove color, acids and sludge. The reclaiming of a lube oil is essentially a nonchemical process that restores in-service lube oil for reuse in a system. Every lube oil charge eventually reaches the end of its life and has to be drained from the machine system, whether it is engine, gearbox, hydraulic system or turbine. Oil that is recycled could be rerefined to new base oil or treated and sold as fuel oil. Hydraulic oils, transformer oils and to some extent turbine oils lend themselves to being reclaimed, but one must ensure that lubricant performance has not been downgraded after reclamation. Reclamation usually involves the lube oil being filtered and cleaned of debris, sludge and fine particles. Centrifuging also occurs to remove suspended particles and some water. Many transformer oil reclamation units dry the oil and achieve this by heating the oil and applying a vacuum to drive off moisture. Transformer oils are frequently reclaimed through filtration. This may take the form of centrifuging, vacuum dehydration or absorption with fuller’s earth or another activated media. Great care must be exercised with turbine oil when carrying out the reclamation process. Centrifuging and filtration will remove particles and water, but the turbine oil must continue to perform its task of cooling, sealing, lubricating and corrosion prevention. Even though the application is critical, turbine oil sump volumes warrant the reclamation effort. The key to turbine oil reclamation is evaluating its performance under specified test procedures. Turbine oil is reclaimed by a combination of filtration, sweetening with fresh oil and sweetening with additives. The combination results in the removal of fine particles, sludge and water, and regenerating the performance level. Hydraulic oils are a complex mixture of carefully selected base oils and specific additives. Top-tier hydraulic oils, often called antiwear (AW) hydraulic oils, must meet performance specifications set by original equipment manufacturers (OEMs), hydraulic pump makers and standards organizations such as Deutsches Institut für Normung (DIN) and American Society of Testing and Materials (ASTM). Plant engineers are increasingly interested in extending the lifetime of hydraulic fluid. As a result, suppliers and consultants are often asked ways to carry this out. Because of their high-pressure operation, hydraulic oil tends to accumulate silt. This silt must be eliminated to avoid valve sticking and polishing wear. Hydraulic oil is reclaimed by a combination of filtration, vacuum dehydration and adsorption. The combination results in the removal of fine particles, sludge and water, and regenerating the performance level. Managing used lube oil recycling or reclamation is often left to an individual or is completely neglected in a plant. It is useful to form a team to focus on the process if there is sufficient volume of used lubricating or process oil at the site to justify reclamation. A recycling and reclamation team may consist of a buyer, lubrication engineer, maintenance engineer, lube supplier representative, a reclamation company representative and an environmental officer. They work together to improve the recycling program. In doing so, they compile the information found in Table 1. The manager of the plant will have to make a decision between reclamation and recycling for his used lubricants and process oils. Because lubricants have different processing requirements, some lubricants are not good candidates for reclamation. The waste oils should be broken into two categories, for either reclamation or recycling. If it is not clear whether the used oil stream is a good candidate for reclamation, contact the reclamation company and ask whether the specific product, by product name, can be reclaimed. Engine oils and gear oils. Burning without treatment - not advised. Rerefining to new lube oil. Disposal to landfill - avoid at all costs. Note that the EPA has specified that used lube oil which does not meet the following criteria must be classified as Off-Specification. This used oil may be used as a fuel only in an industrial facility registered with the EPA. These include cement mills, lime kilns, coke ovens and blast furnaces. If the halogen content is greater than 1,000 ppm, then the used oil must be managed in accordance with the federal Resource Conservation and Recovery Act (RCRA) hazardous waste regulations. In-line oil sensors to ensure that oil life is extended and unnecessary oil changes do not occur. Use of oil mist lubrication on industrial gear boxes and other equipment. Choice of extended drain period diesel engine oils for fleets. Selection of equipment with reduced oil sump sizes. Improving the filtration of the lube oil charge and dosing with additives. Prevention of oil charge contamination. Every plant should have a coordinated plan for managing used lubricating oil. Cleaner production methods and waste minimization should be the first initiatives in reducing waste oil at a factory. When lubricating oil reaches the end of its design life, it must be either reclaimed or recycled. If reclaimed, the lube oil may continue to serve its design function for many more operating hours. Rigorous testing and record-keeping are necessary for this approach. If the waste oil is a mixture of contaminants and spent oils, then the used lube oil can be reprocessed by a contracted recycler, keeping within local government regulations. Every business should keep track of the used oil it generates once it leaves the plant. Plants which generate large volumes of used oil should seek an independent report on the process practiced by their contracted recycler.